Well we have awesome news for one lucky family this evening! The elves placed all of the names into the drawing and the random winner this evening was Stephanie Milam. We are so excited you and your family will be visiting us at the North Pole this winter! Please contact morgan@northpoleexperience.com to receive your code for booking. The North Pole Experience®,(NPX) is the home of Santa’s authentic workshop and one-of-a-kind Christmas adventure in Arizona. Families will enjoy this “Christmas adventure of a lifetime” with a trolley ride to the North Pole through a magic portal. Inside Santa’s famously grand workshop and toy factory headquarters, families work side-by-side with Santa and his elves, building toys and then enjoy access to Santa’s main factory floor, with soaring toy slides and ceilings. Families will attend Elf University and visit Mrs. Claus and enjoy cookies and snowman soup in the bakery. Don’t forget Santa’s mailroom, office, and his top-secret “Area 47” Sleigh Hanger, featuring his famous sleigh, jam packed with some of the most advanced technology in the world, runway lights, radar systems and more. Families will end their experience at Santa’s Workshop with special one-on-one family time with Santa for photos and sharing Christmas wishes. 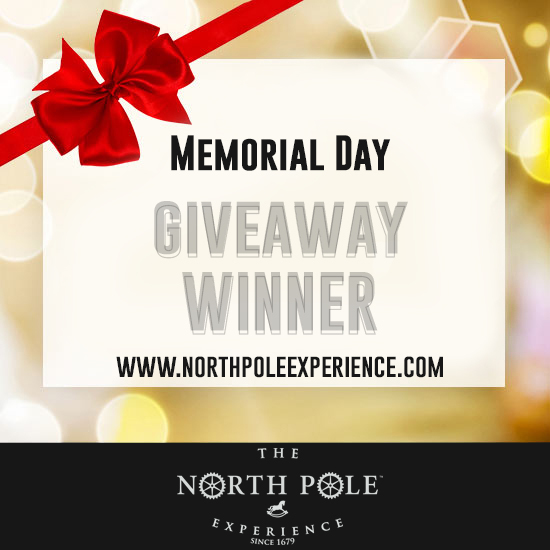 For more information on North Pole Experience tickets, Little America, or our other Flagstaff partners, please visit http://www.northpoleexperience.com/ . Please allow 24 hours for the giveaway reply. Tickets must be redeemed during the 2015 season on select dates. Prize will expire on 12/31/15. This promotion is in no way sponsored, endorsed or administered by, or associated with, Facebook.